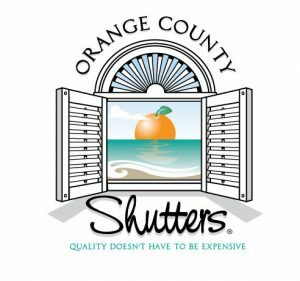 Lately we have noticed that there are many other shutter companies that are using our registered trademarked and registered business name of Orange County Shutters® in order to get customers to go the their web site. While we are very flattered that these companies want to be us the simple fact is that they are in no way related to Orange County Shutters® and none of them sell our high quality shutters, even though one company claims to have our shutters on sale for 60% off. Unless you are buying directly from the REAL Orange County Shutters® you are not going to get the quality and service that has made us a house hold name for your window covering need in Orange County CA and surrounding areas. These other companies think it is our name that makes us so popular, however that are very wrong. It is the simple fact that we are a family owned and operated company and strive on those Ma & Pa family values. Our quality is far more superior that most others and our pricing is very affordable. It is our experience and hard work to make our customers happy that makes us the most popular window covering dealer in Orange County, not our name. So if you come across another company that is advertising Orange County Shutters® know that unless you are buying from the real Orange County Shutters® in Garden Grove, CA you are simply not getting what you deserve. If you come across one of these companies ask them why they are embarrassed to use their own name to advertise, perhaps they are ashamed of the quality of their shutters which in my opinion is very sad. Description of Mark The color(s) black, white, orange, green, light blue, blue, teal, and tan is/are claimed as a feature of the mark. The mark consists of white open shutter with a white and blue sunburst on top. The words “Orange County” in black with white shadow written on top and the word “Shutters” in black with white shadow below that. Inside the open shutter is an ocean in teal with waves of white, light blue sky with white clouds, a tan sandy beach, and an orange on the center with a green leaf representing a setting sun.